Love is in the air, but so are fossil fuels. As global warming drives the mercury skyward, the price of chocolate (that is cacao) is rising just the same. Plagued by a number of factors, like increased demand, poor soil conditions, deforestation and aging trees, the velvety confection we all know and love could potentially get harder and harder to come by. This is why big name manufacturers are shelling out billions of dollars to help preserve a weakening industry. Increased demand not only stems from the availability of milk chocolate in countries where it was once a rare delicacy, but more-so the rise in production of high fructose corn syrup, milk fats and industrial engineered fillers that make ‘chocolate-like’ confections super cheap. 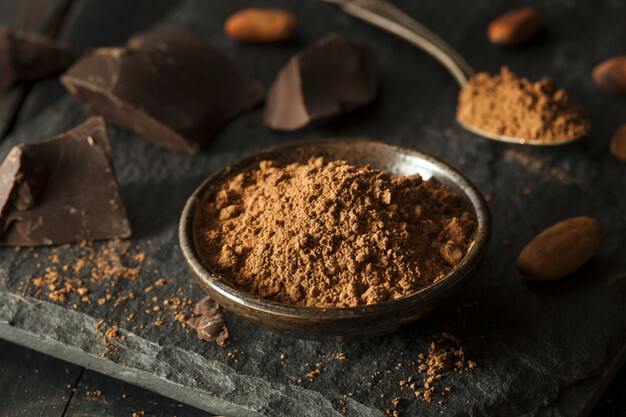 Other elements driving demand is the fact that cacao (the whole bean itself) has in recent years topped the super-food list due to the high antioxidant capacity of the flavonols in the whole bean. From a health and sustainability perspective, choosing chocolate that’s no less than 70% dark will ensure the majority of these super-food properties are intact, and purchasing Fair Trade will ensure farmers are paid a fair wage, and the trees are treated with the same respect as the farmers. So what’s a choc-o-holic to do? Invest in green technology? Buy a chocolate farm in Africa? Take a nod from the ‘chocolate tree huggers’ around the world and vow to show your loved ones that you care in a more sustainable way. Instead of buying up boxes of chocolate-like confections that drive up demand, save the world AND your lover’s waistline.